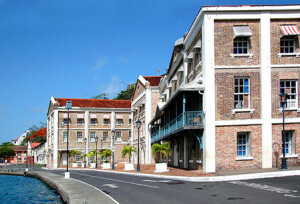 The Government of Grenada is committed to the development of a professional tax service. The first phase of this modernization thrust is the establishment of a Large and Medium Taxpayers Unit in the Inland Revenue Division (IRD). In preparation for this development, the IRD is reaching out to large and medium taxpayers, to directly inform them of these developments and receive their feedback. The outreach sessions are scheduled to be held on 22, 23 & 28 October 2015. Officers of the IRD will make every effort to directly contact taxpayers on their participation in these sessions. Some of the benefits of the Large and Medium Taxpayers Unit will include greater ease of doing business with IRD through dedicated staff; more customised services and the use of IT platforms. The Inland Revenue Division solicits the cooperation of large and medium taxpayers on this positive development.